In less than an hour the sky went from mostly cloudy, to dotted clouds, to full sun on a recent morning. The wind that was moving the clouds was only aloft, with only a slight breeze at ground level. 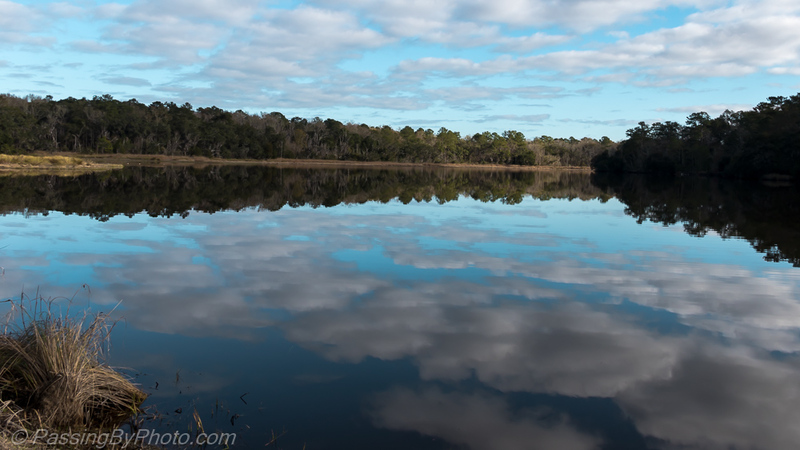 The big pond at Donnelley Wildlife Management Area reflected it all. 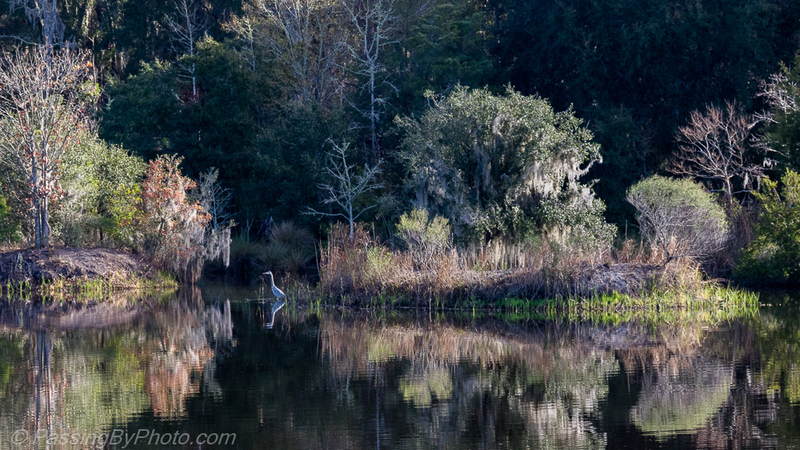 Bare trees and the Spanish Moss give a silvery sheen in the early morning light. A few Great Blue Herons were prowling around the perimeter and some ducks splashed in the distance, too far for a photo. In the silent gaps between airplanes and dogs barking in the distance the noises of the ducks carried through the stillness. It was almost solitude. 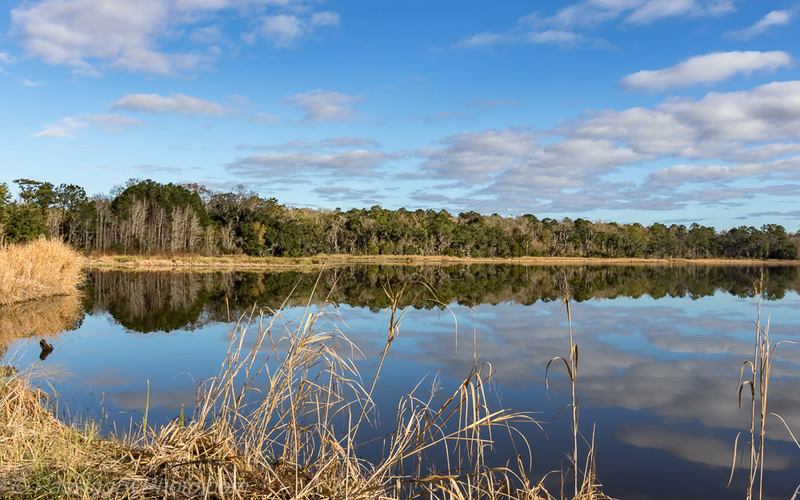 Donnelley Wildlife Management Area, 1/12/2017. A feeling of calm permeates these wonderful shots. Thank you. Belinda. I’m glad that came through on the photo.